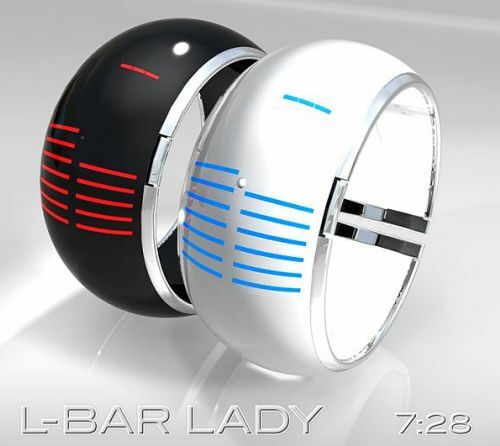 Just like cell phones, timepieces do a lot more than tell the time nowadays and designs have to truly reflect this fact – so check out the LED Bars Lady concept watch. It’s just like a piece of fashion jewelry – in other words, it doesn’t look like a real watch at first sight. But that’s exactly what I like about it. The decorative aspect allows you to look far beyond the standard purpose of a hand watch. Designed Laszl (famous designer from Hungary), this watch/bracelet is made from semi translucent plastic and LED lights that are visible only when active. 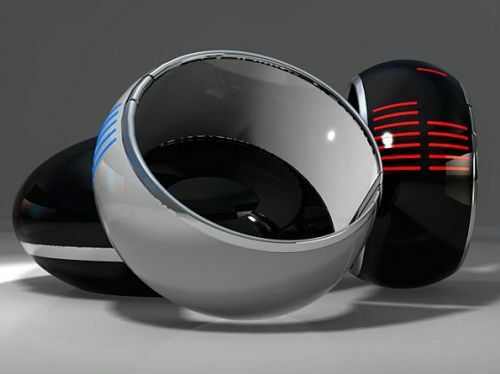 The LED light on the right is the minute and the LED light on the left hand side is the hour. This cool watch can be found in a couple of color combinations - white with lights LED lights and black featuring red LED lights. Which one is your favorite?